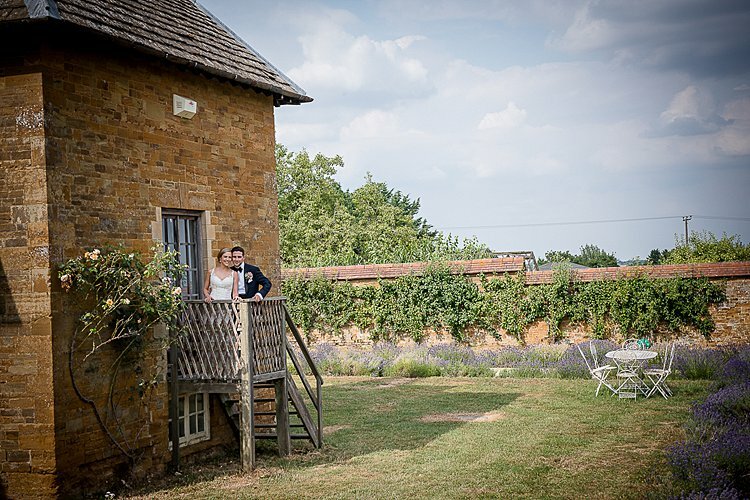 We chose to have our wedding at Poundon House, near Bicester. 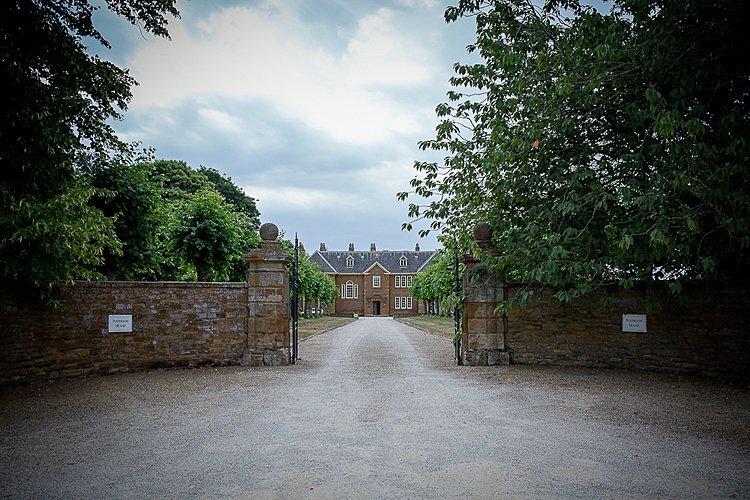 I always wanted to get married in Buckinghamshire as that’s where I’m from, and we both agreed we wanted a unique, quirky venue with an outdoor space to have our ceremony and a large enough space to seat our 160 guests for the reception. 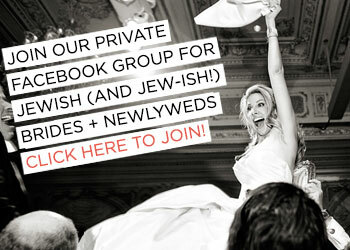 I stumbled across Smashing the Glass when I was doing some research on interfaith weddings. 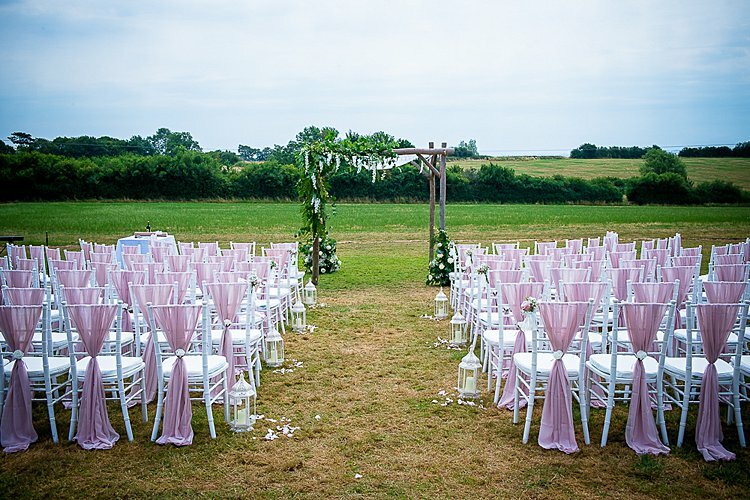 By this point I had bought a book on interfaith ceremonies and was in the process of looking for an officiant for our wedding and found our interfaith rabbi’s details on your site. 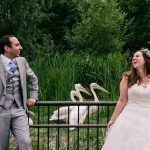 The thing I found most helpful was reading the blogs of other Jew-ish weddings – it made me realise we weren’t the only ones out there! 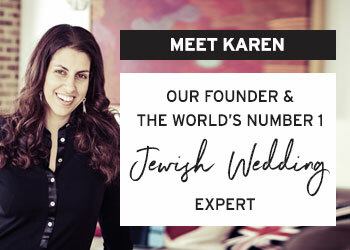 It is actually quite difficult to find a lot of information on Jew-ish weddings even though a lot of people are doing it, and I found reading other people’s experiences helped me visualise what we could do with ours. 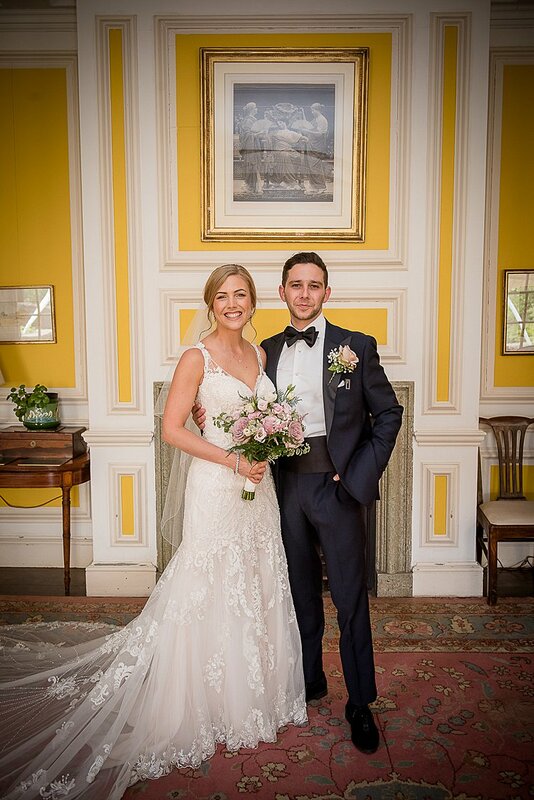 As a producer I’m used to organising shoots, so I was really keen to organise our own wedding so that we could put our own personal touch on the day. 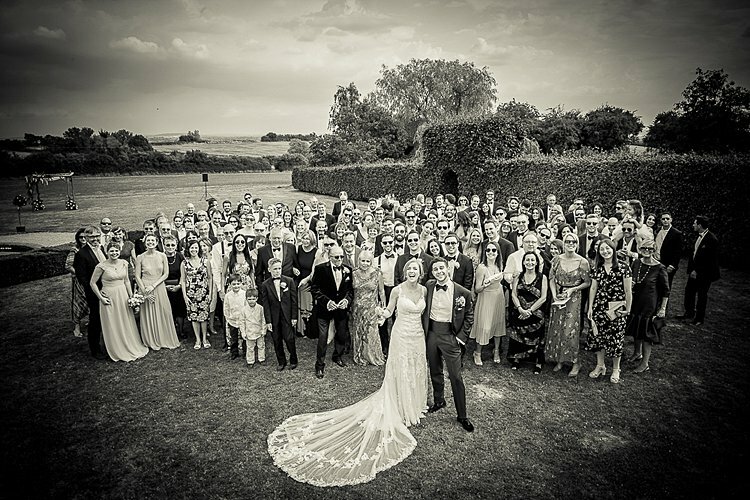 Jerome wanted an elegant black tie event and I wanted an English country-style wedding, so we decided to blend the two together and went for a rustic-elegance theme which very much reflected our personalities. 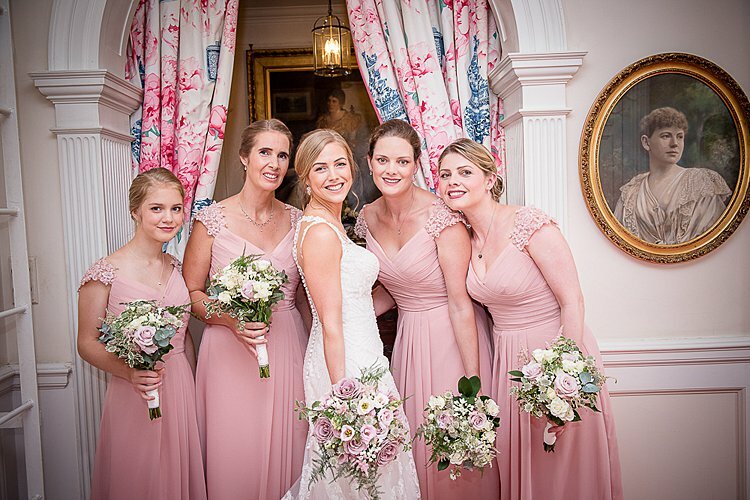 The dress code was black tie in keeping with the 1930s venue, but the flowers and decoration had a touch of rustic-chic to them with my favourite dusty pink colour used throughout. Finding an invitation that we could both agree on was really difficult as we both wanted it to be perfect. 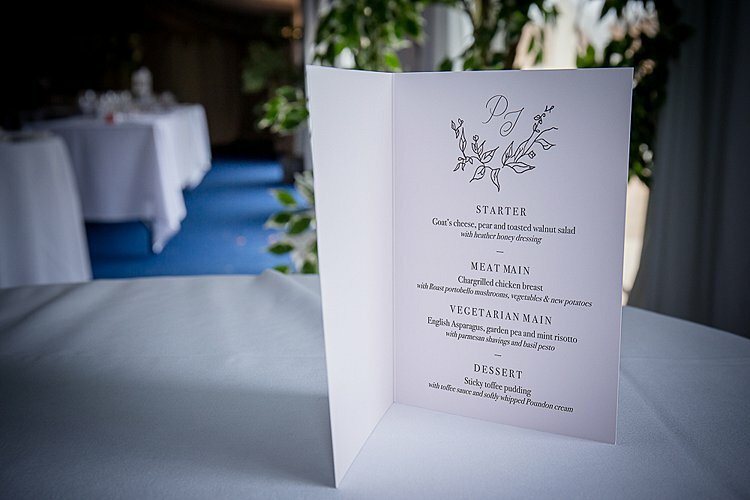 After going round in circles we eventually decided to design our own, and with Jerome’s creative vision and my design skills we created our own invitations, along with a style and brand we could use across all our stationery. Again it kept with our rustic-elegance theme – with the elegant foiled design on the front and the floral rustic decoration on the back. We even hand stamped all our invitations with our own ‘PJ’ logo design that we got made into a wax stamp from Etsy. 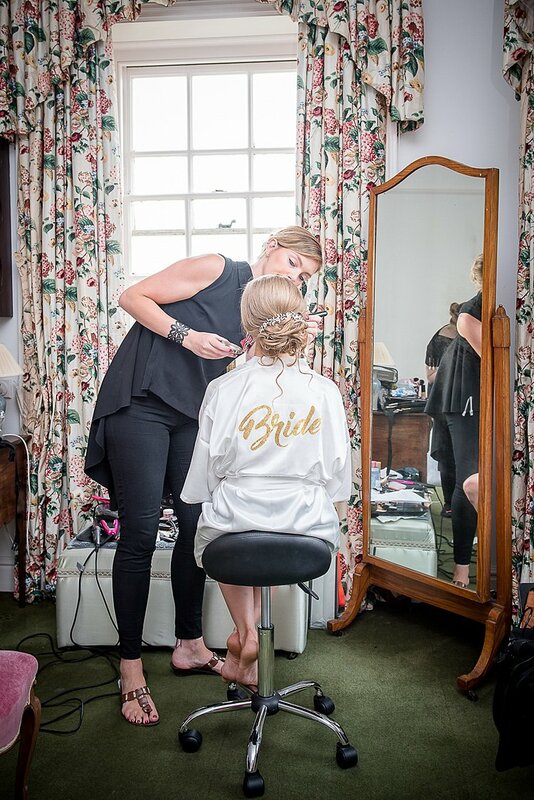 I wanted my hair and makeup to be elegant but a little bit boho to complement the style of my dress. 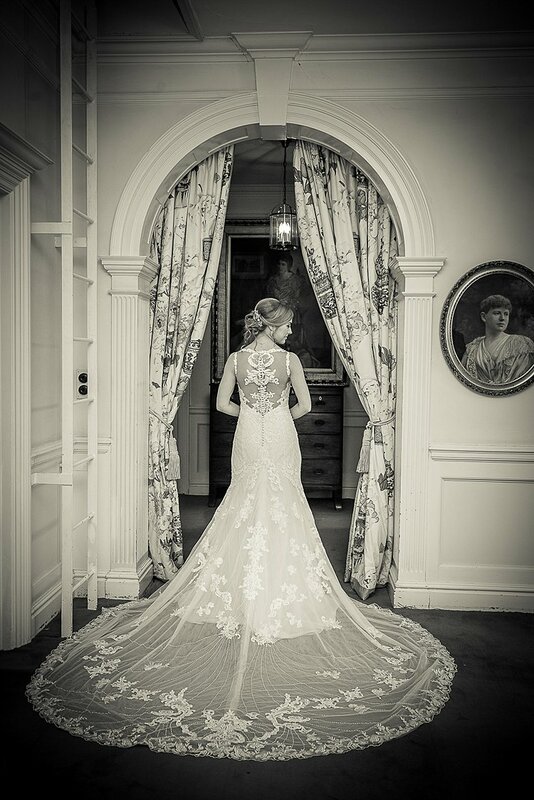 And I knew I had to have my hair up to show off the beautiful detail on the back of my dress. I did a lot of browsing on Pinterest and worked closely with Kate Walker from Ruby Rouge to come up with a relaxed natural chic style. I found it really hard to find ‘the dress’. Everyone said I would get that feeling when I found it but I tried on many different dresses and started to worry I was never going to find it. Then after visiting London Bride I was about to leave when the shop assistant said a new dress had just come in and I had to try it. 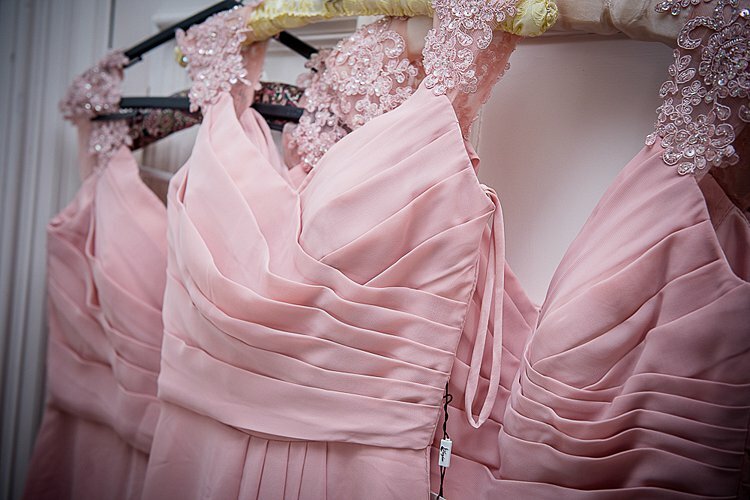 As soon as I tried on the dress I burst into tears – it was perfect. 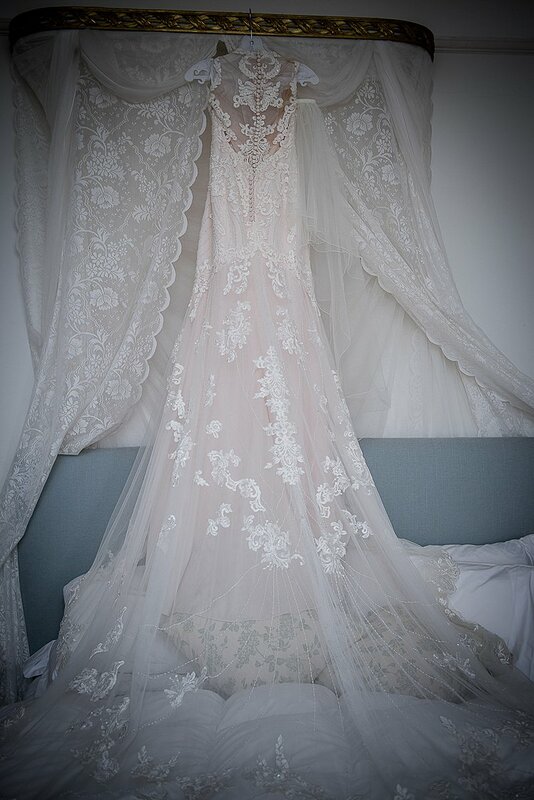 It fit perfectly with our theme: it was very elegant but with a boho vintage style to it and a beautiful unique train. And decoration on the back was absolutely stunning. The dress was from Essense of Australia. In keeping with the elegant vintage style of the dress I was really keen to get a vintage hair vine to finish the look. I found this cute hair vine from ArtDecoByDonatale on Etsy. Jerome was really adamant he wanted to buy the jewellery I was going to wear as my wedding present but I was worried he wouldn’t buy the right style to match with my look (bearing in mind he had no idea what my dress looked like). So I pointed him in the right direction to Liberty In Love, who I knew had beautiful vintage-style jewellery, and dropped a few hints. On the morning of our wedding day, Jerome’s mother handed me a little bag of presents to open and he had got me a beautiful matching set of earrings, necklace, and bracelet that matched with my hair vine. I bought my shoes before I’d even bought my dress! A couple of my friends who were also getting married had arranged a girly shopping trip to Lucy Choi to help them find special shoes for their big day. I’d only just got engaged so wasn’t thinking I would get anything, but found this gorgeous pair of gold sparkly stilettos and they were so comfy I just had to have them! 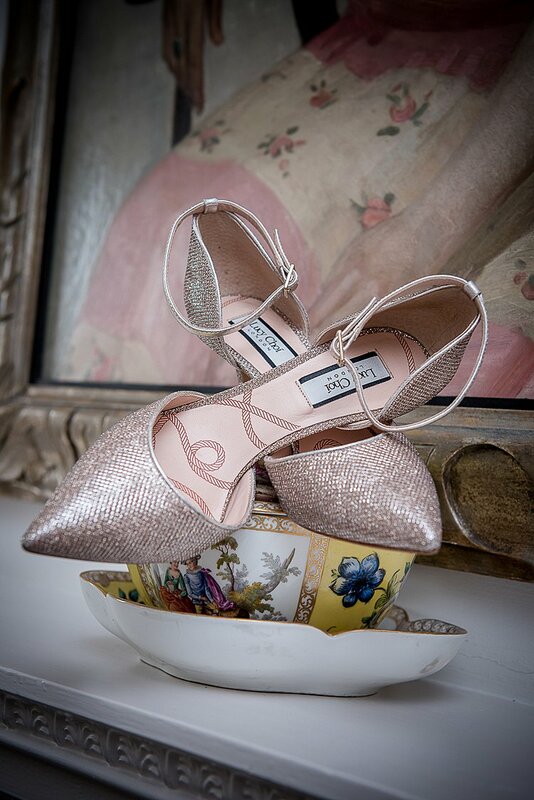 I think most of the dress shops were surprised – they’d never had a bride looking for a dress to work with shoes before rather than the other way round! My husband is a bit of a character and wanted to have an outfit that was quirky and different. 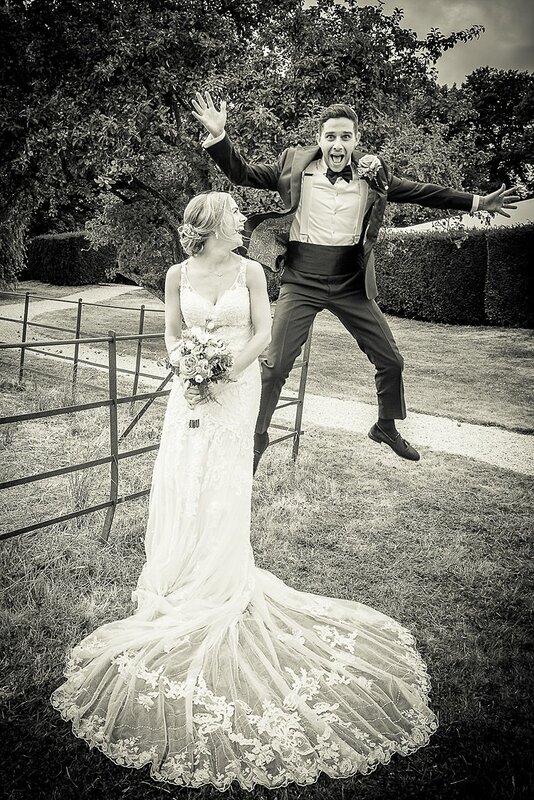 At first he was adamant he wanted to arrive in a Paisley suit but soon realised it wasn’t his place to upstage the bride! 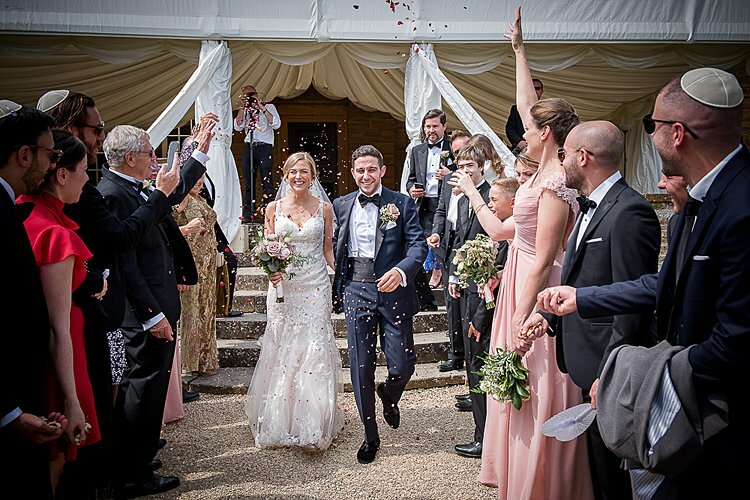 So instead he had a tailored tuxedo made at Suit Supply in Mayfair in a midnight blue colour – with a paisley lining so he still had his quirky touch. He even had the date of our wedding sewed underneath the collar and his initials on the inside pocket to personalise it. 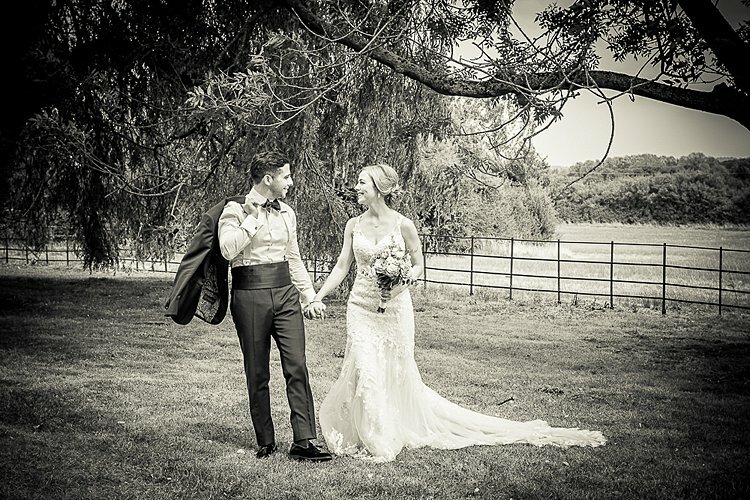 I have to say he looked amazing on the day! 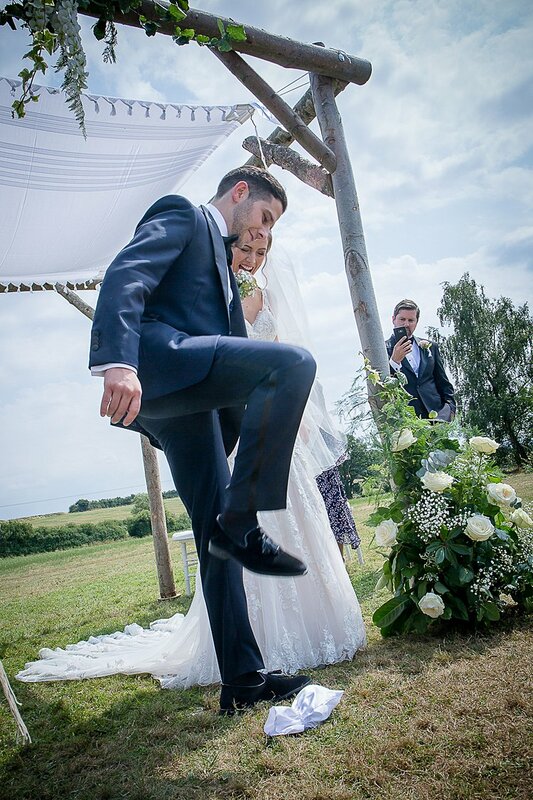 And I couldn’t wait to run down the aisle to him. 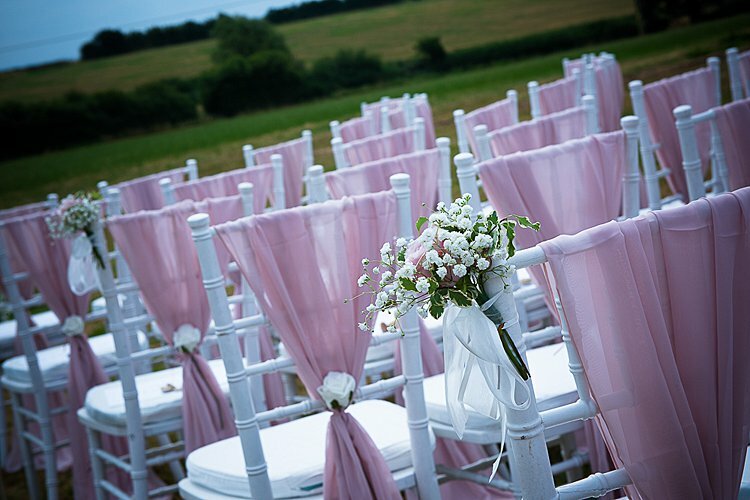 From the very beginning I wanted the bridesmaids to be in a dusty pink colour to match our theme, but the difficulty was finding a style that would suit my older sister and friends but still suit my younger niece who was only 13 years old. 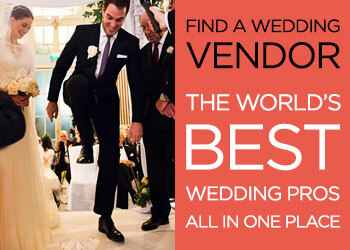 When I was at a bridal fair I met a company based in Wimbledon who were able to custom make dresses any size and colour. I took my bridesmaids to the shop and tried on lots of different styles and finally settled on a beautiful vintage style with a scooped back and decoration on the shoulder straps to match my dress. I also had a little flower girl and ordered her a cute little princess dress decorated with pearls. 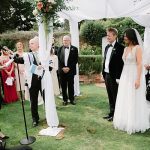 One of the main reasons we decided to go the interfaith route was because Jerome was really passionate about getting married underneath a chuppah and this wasn’t possible with a civil ceremony. 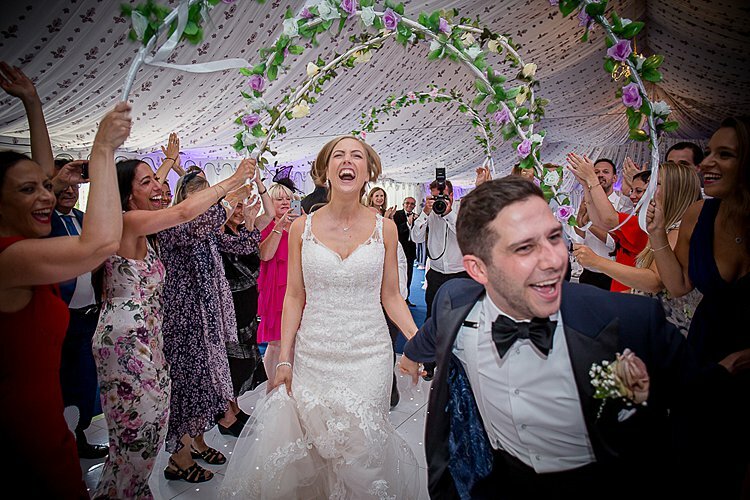 So we wanted to create a chuppah that was really special and unique to us. 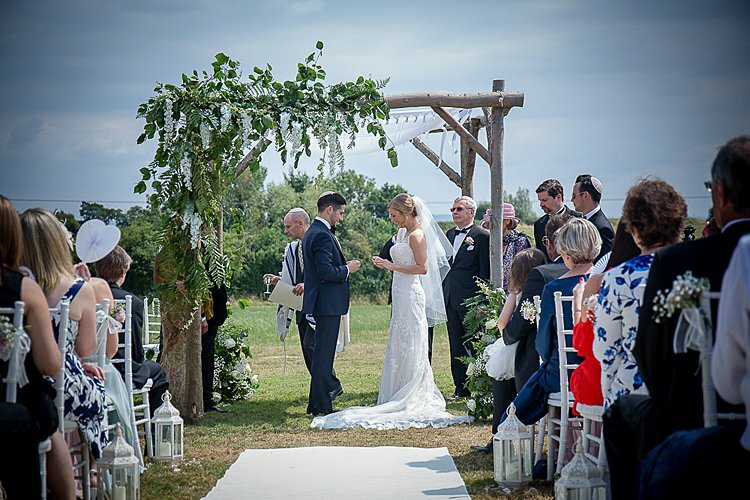 Since we were having the ceremony outdoors we wanted to go for a natural rustic chuppah with lots of foliage and wanted it big enough to be a striking feature at our ceremony. A close family friend of mine happens to be a carpenter, so I asked him if he thought he might be able to make one for us from scratch. He had never done anything like this before but was really up for the challenge. After exchanging a couple of photos and ideas, we visited him at his workshop and helped select the branches and logs he needed to build the structure. Luckily our florist lived down the road from his workshop so she was able to pop in to help plan how to decorate it. 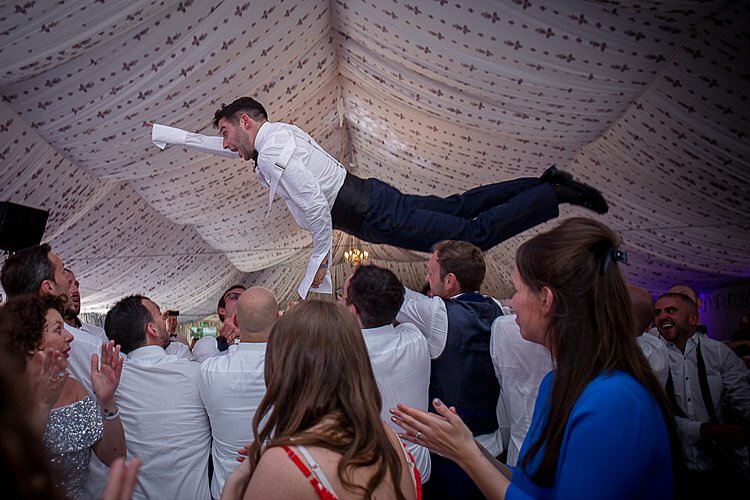 As Jerome wasn’t going to wear a tallit in the ceremony, he really wanted to finish the chuppah with a special tallit covering. So we ordered a beautiful HaMefoar tallit inlaid with silver pinstripes from Ben’s Tallit shop. 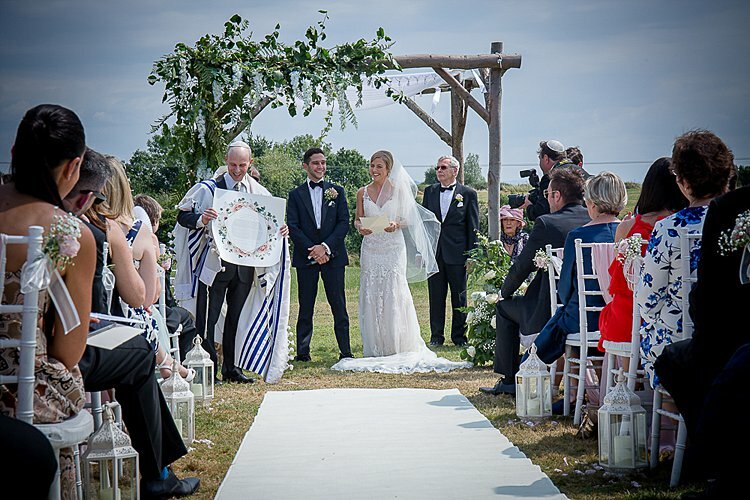 With Jerome being Jewish and me being Christian, we were keen to weave our different backgrounds and traditions together to create our own unique ceremony. 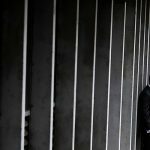 We found our interfaith rabbi on Smashing The Glass and worked closely with him to create a tailored interfaith service that was meaningful and personal to us. 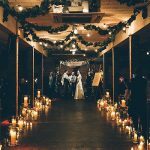 As we couldn’t get married in a church or synagogue we wanted the setting for our ceremony to be something special and memorable. 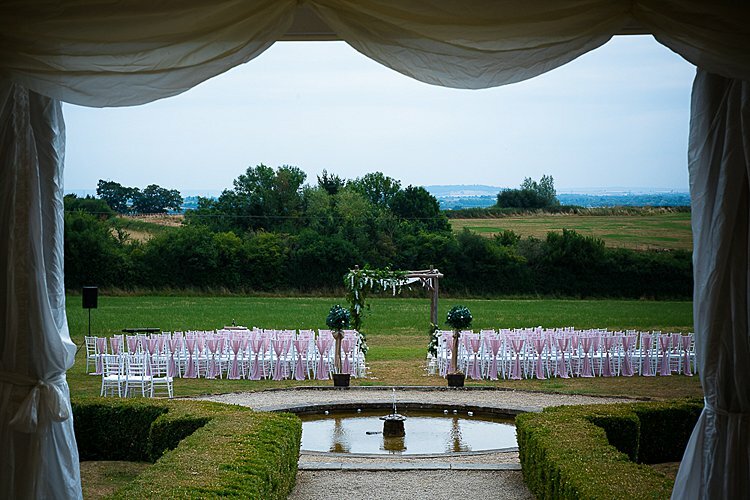 I’m a big fan of the outdoors, and Poundon House has such a beautiful scenic countryside backdrop, so we decided to have the ceremony outdoors on the lawn. 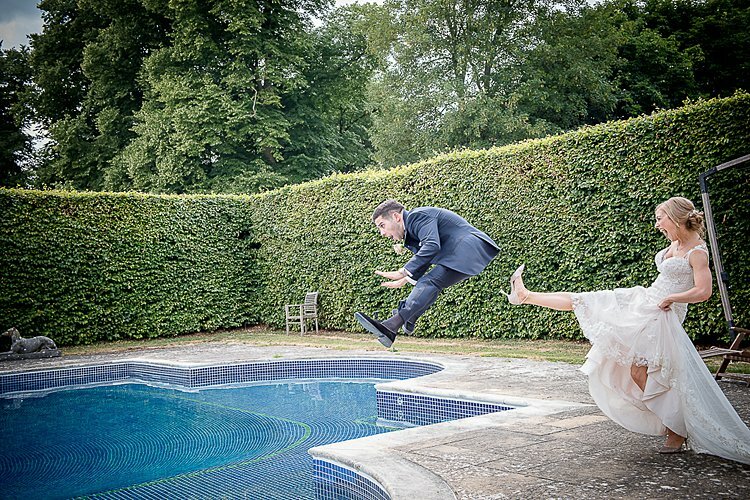 This also meant we could make a dramatic entrance walking from the house down to the lawn around the pond. It did feel like the longest walk with my dad on the day with everyone staring but it was totally worth it! I was just smiling at Jerome the whole way down. 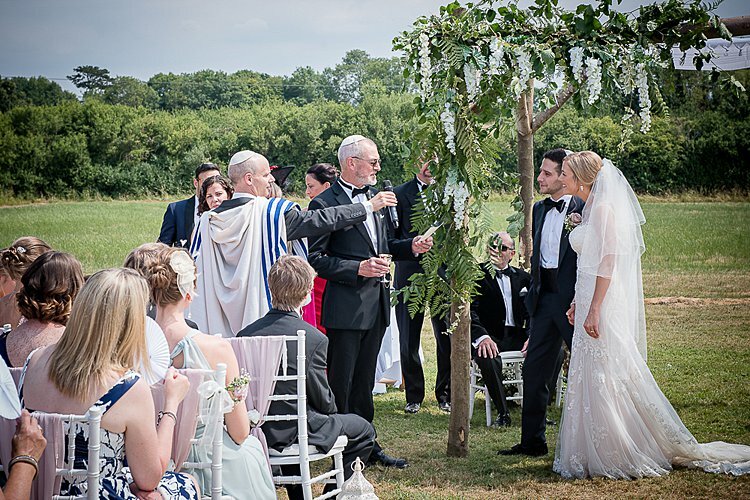 In the ceremony, Rabbi Paul Glantz was great at describing the various traditions and rituals of the Jewish part of the ceremony for our non-Jewish guests – particularly the chuppah and the ketubah. I also created a special order of service for our guests so everyone could follow what was happening. In keeping with Christian and English wedding tradition, I invited two friends to give readings. One was an extract from Richard Bach’s book The Bridge Across Forever, which was about soul mates, and the other the lyrics from ‘Sun and Moon’ from Miss Saigon, which is about two people coming together despite conflicting backgrounds which we thought was so appropriate! 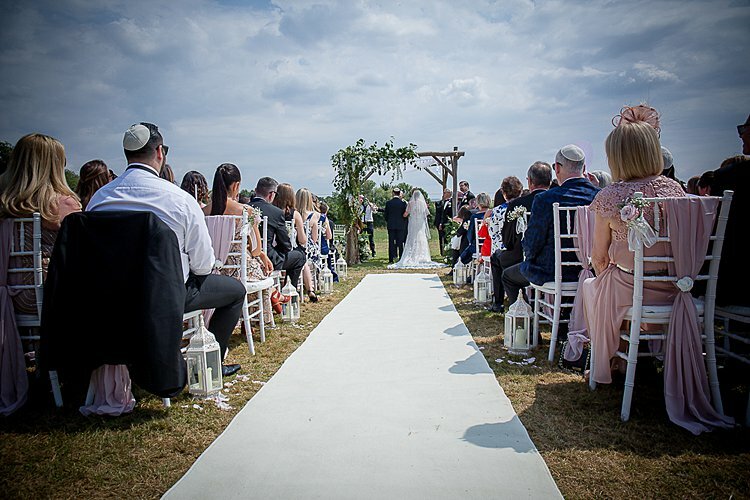 Towards the end of the ceremony the rabbi gave the traditional Jewish seven blessings in Hebrew and we invited close friends and family to give seven Humanist blessings in English, which was a lovely way to make everyone feel included. 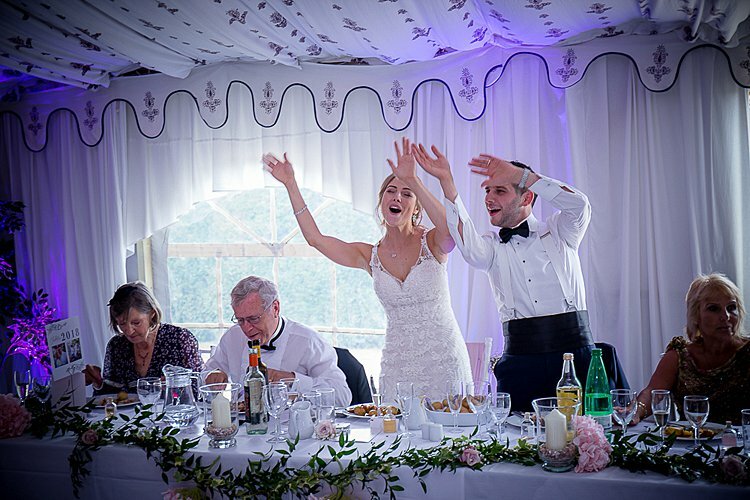 We also had personalised kippot from Hebrewear (who we found on Smashing The Glass) with our names and wedding date printed underneath. They were a lovely touch and we offered everyone the opportunity to wear them, even non-Jewish guests, so everyone felt involved. 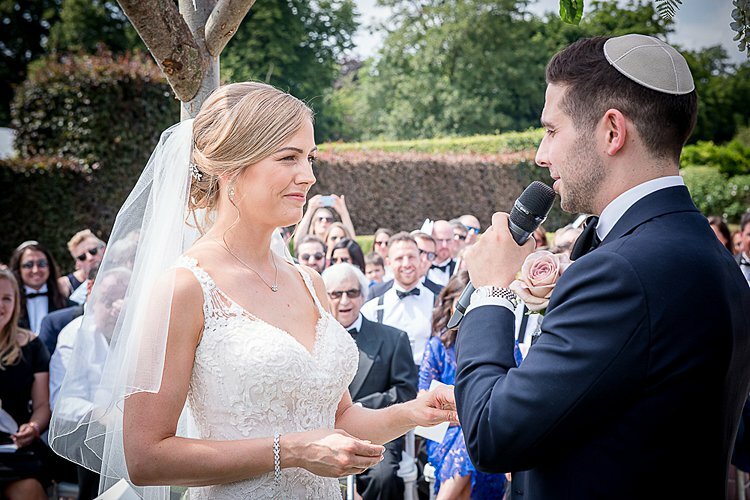 Jerome and I wrote special vows to say to each other and we also read out our ketubah, which we’d specially written and had translated into Hebrew. 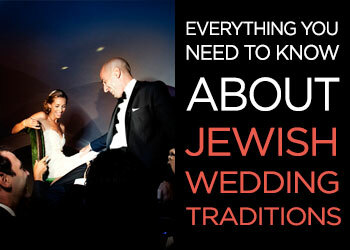 It was a beautiful ketubah made by Ketubata, based in Israel. 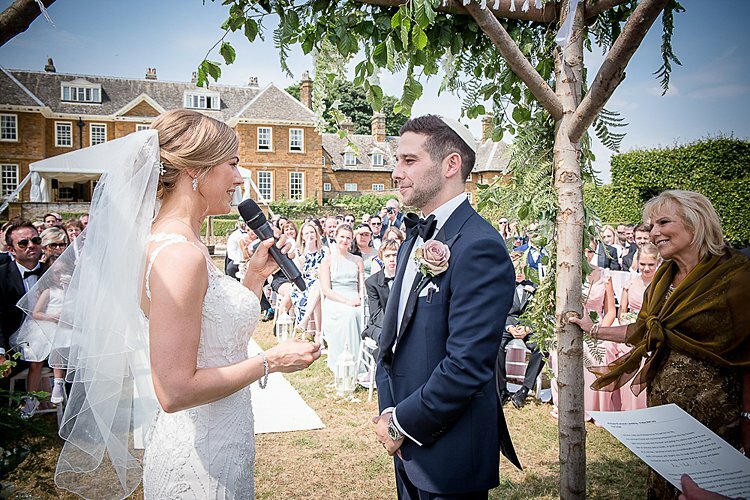 Since the ceremony was set down on the lawn with a long walkway, we wanted two songs for our procession – one for Jerome’s entrance with his parents, my mum and brother, and our flower girl and page boy, and one for my entrance, with my bridesmaids leading before my dad and I walked down. 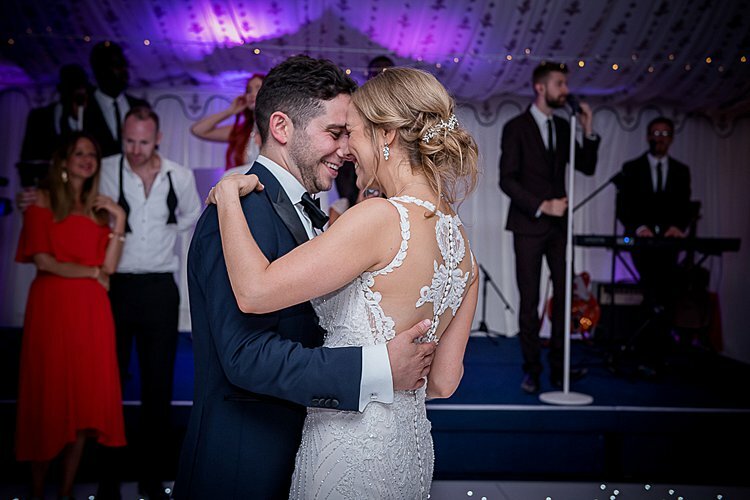 Jerome selected a slow version of Stand by Me, as he was touched by the performance of the song at Harry and Meghan’s wedding. For my entrance, we selected Kissing You by Des’ree from the film Romeo and Juliet. It’s such a beautiful song and I tear up every time I hear it! We also peppered the day with lots of other songs that were really meaningful to us. For the circling, we chose an instrumental version of All of Me by John Legend, which was one of the songs from when we first starting dating. And A Sky Full of Stars by Coldplay played when we entered the marquee, which was the song when we first kissed in Ibiza. One thing Jerome and I have in common is that we’re both big fans of Phil Collins so for our first dance, we had A Groovy Kind of Love. 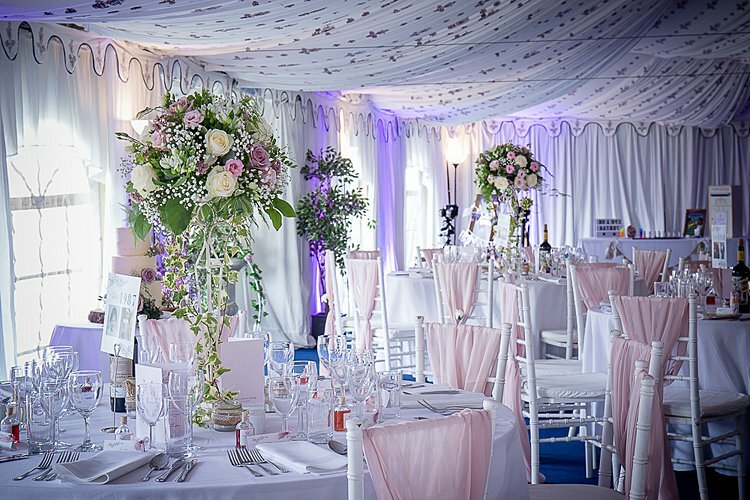 Our fabulous florist was The Garden Room. 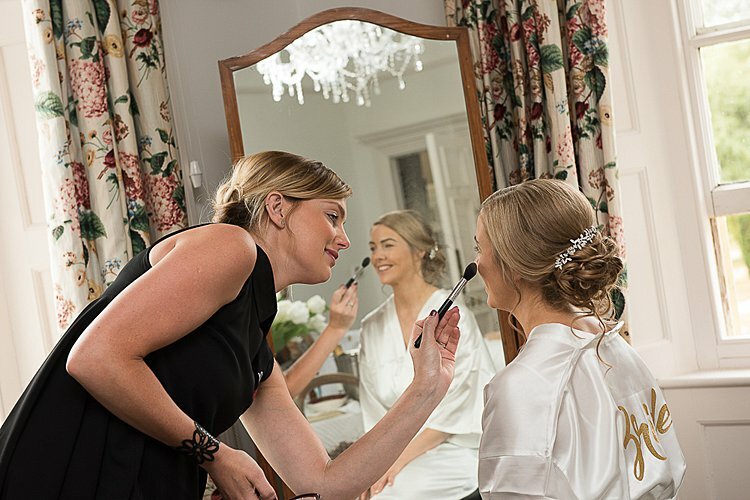 Debby was absolutely fantastic, we had many planning sessions with her to work out the best flower arrangements for the wedding in the budget we had and she had lots of suggestions on what could work. 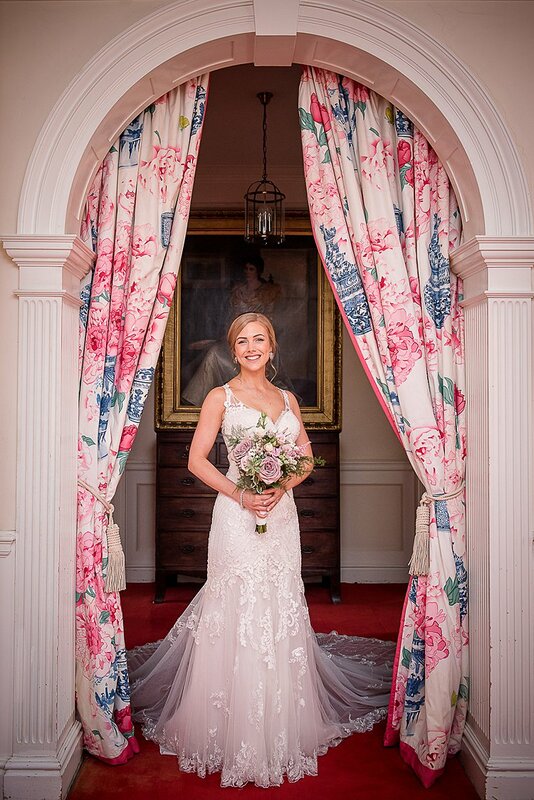 Jerome has always said I’m like an English rose so we wanted to use dusty pink and white roses, with lots of foliage and slight messiness to give that rustic natural look. For the ceremony, our chuppah was decorated with white hanging fuchsia and beautiful flower arrangements with roses and white flowers. To line the aisle we had storm lanterns and rose petals, and two olive trees at the beginning of the aisle. 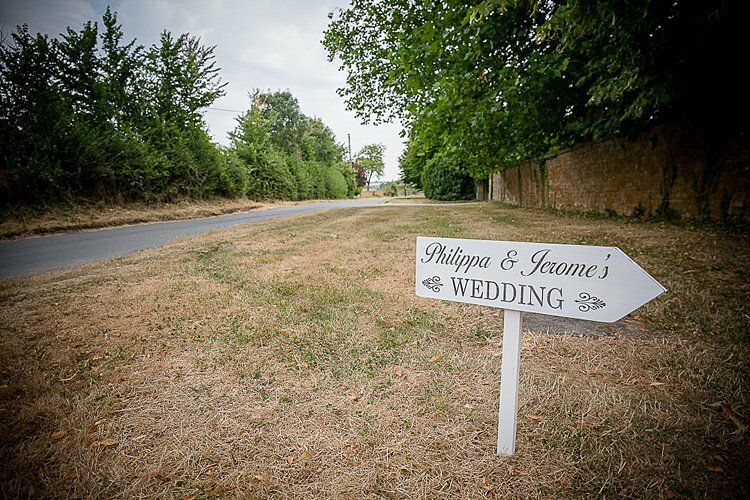 For our marquee we wanted to keep the elegant rustic theme by having some tables decorated with tall elegant floral centrepieces and others with more rustic centrepieces with mason jars filled with wild flowers on wooden trunk bases, which our carpenter friend supplied for us. We used Pascal from Reportage. 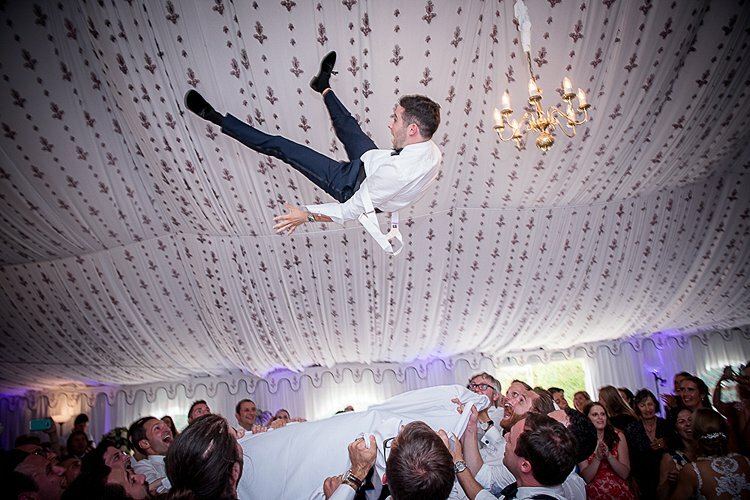 We had seen him before at other weddings and heard great things about him. 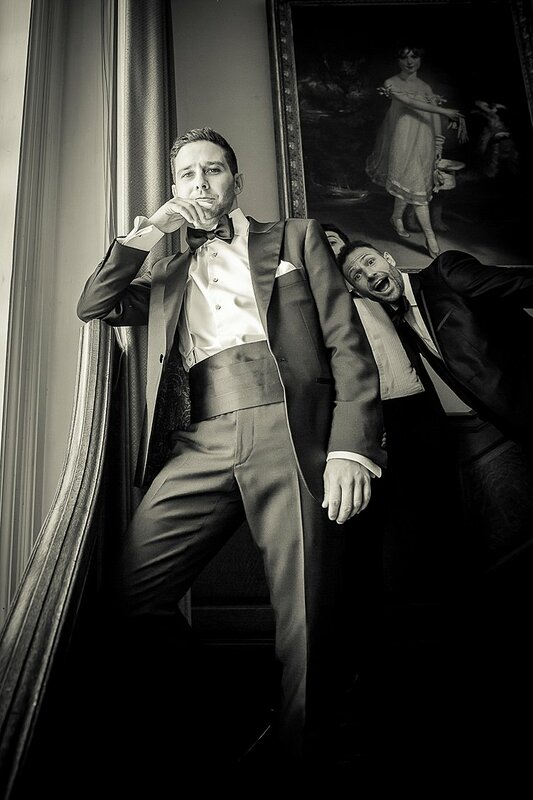 We were keen to use him because of his natural quirky style and ability to capture beautiful portraits of people. He also brings added value by having an engagement photo shoot leading up to the wedding. And also we flew him out to Venice to capture our first day on our mini-moon where we went around taking pictures in our wedding clothes! 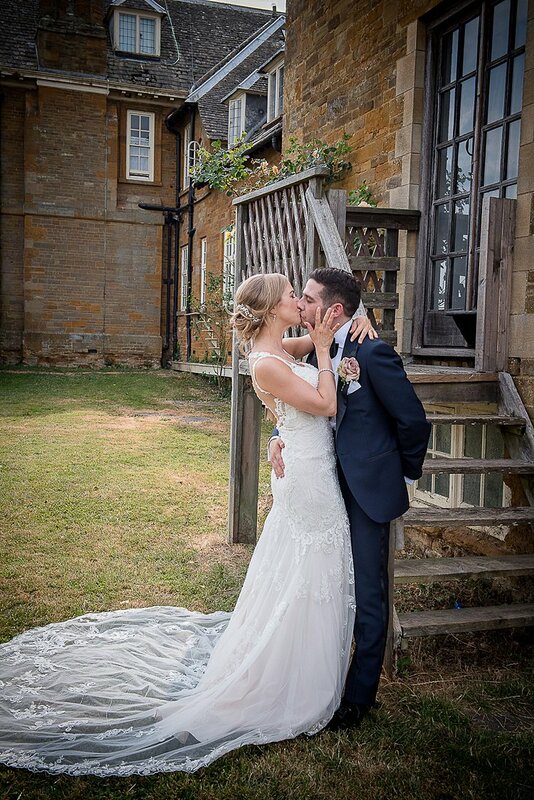 We’re still waiting on these photos but they are going to look stunning! He also surprised us the day after our wedding with a special bespoke Promise magazine with some initial photos from our day which was a really thoughtful touch. It looked like an issue from Ok! magazine. Our videographer was Cedar House Productions, who did a great job. Our cake was made by Karen from Cakes by Kit. The cake tasting was one of our favourite parts of planning the wedding, and we opted for different tiers of carrot cake, red velvet cake and lemon cake. 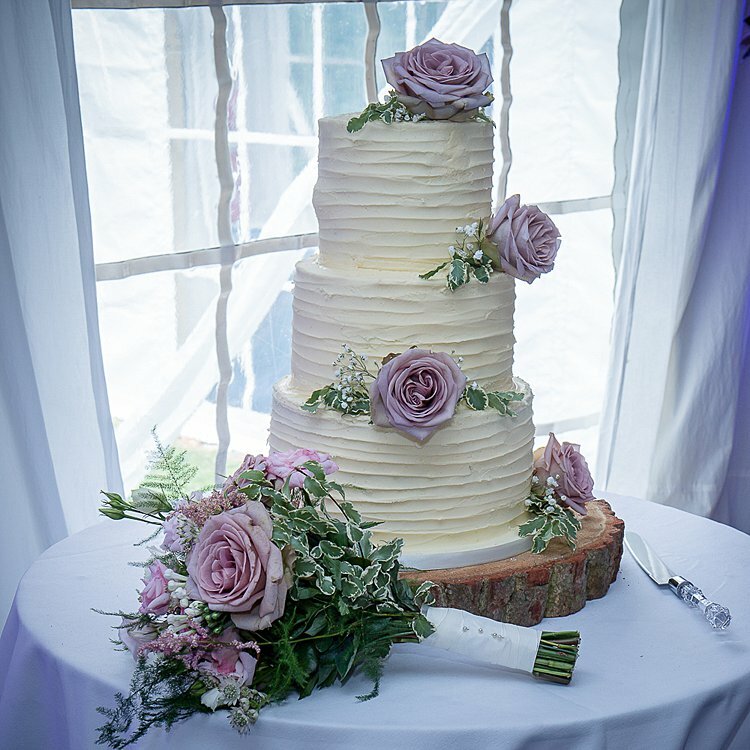 Our carpenter friend who made our chuppah also provided us with some trunk bases to use as centrepieces for our tables and also as a cake stand to tie in with our rustic theme. Our catering was by Original Kitchen, who were exceptional. The head chef Rory trained under Gordan Ramsey and Raymond Blanc, and most of the food was locally sourced. We had great comments from our guests about how delicious the food was. We had a pear and goat cheese salad to start, with mushroom chicken and vegetables for main, and sticky toffee pudding for dessert. The pudding has to be the best I’ve ever tasted! And the vegetarian option was a beautiful creamy asparagus risotto. 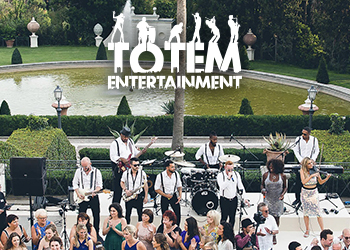 We went with the Function Band as we had seen them at another wedding and knew they were the ones to get the party started! They did not disappoint, we had so many people come up to us saying how amazing the band were. 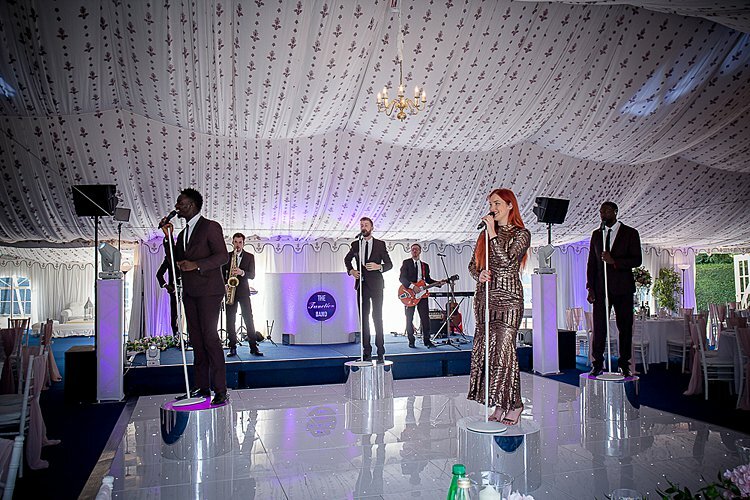 We had them performing at our ceremony, through the drinks reception, and into the night at the marquee. The highlight had to be their garage set! Oh my god I think they went through every classic and everyone was on their feet. Jerome and I also jumped on their podiums and were dancing away. We absolutely loved it! We also had a photo booth throughout the night from Booth Birdy, which gave us hilarious pictures of all our guests with different props. 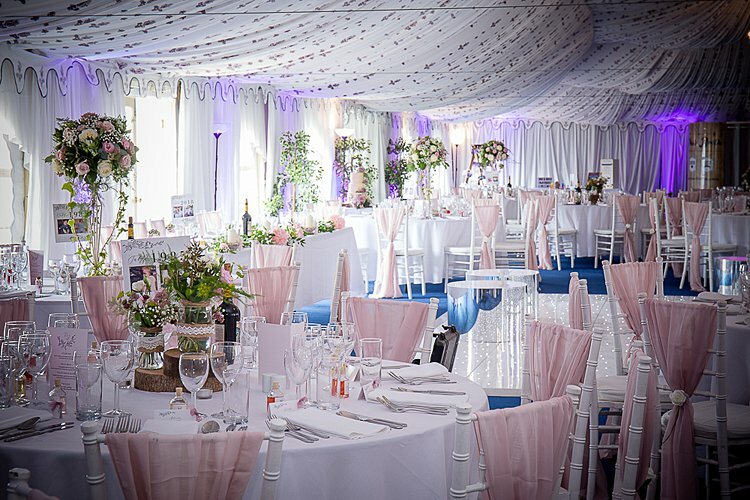 They were brilliant and also supplied the white starlight dancefloor and lighting throughout the marquee. We’re both big fans of Negroni and gin so filled little bottles with Negroni for some of the boys and flavoured Edinburgh Gin Liquors for everyone else, which were delicious. 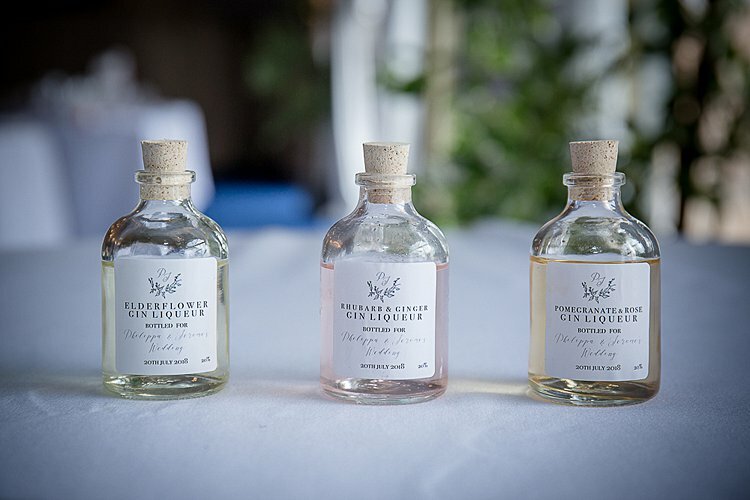 And in keeping with our stationary brand, we created little labels to go on the bottles. 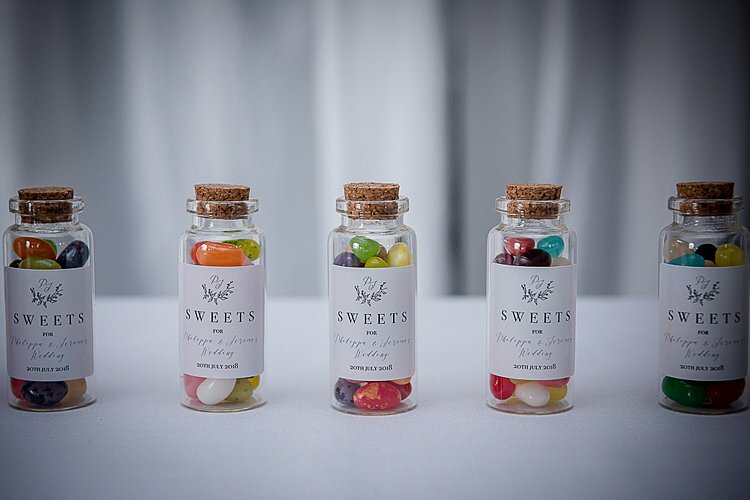 And for the non-drinkers and kids, we created little sweet bottles filled with jelly beans instead. 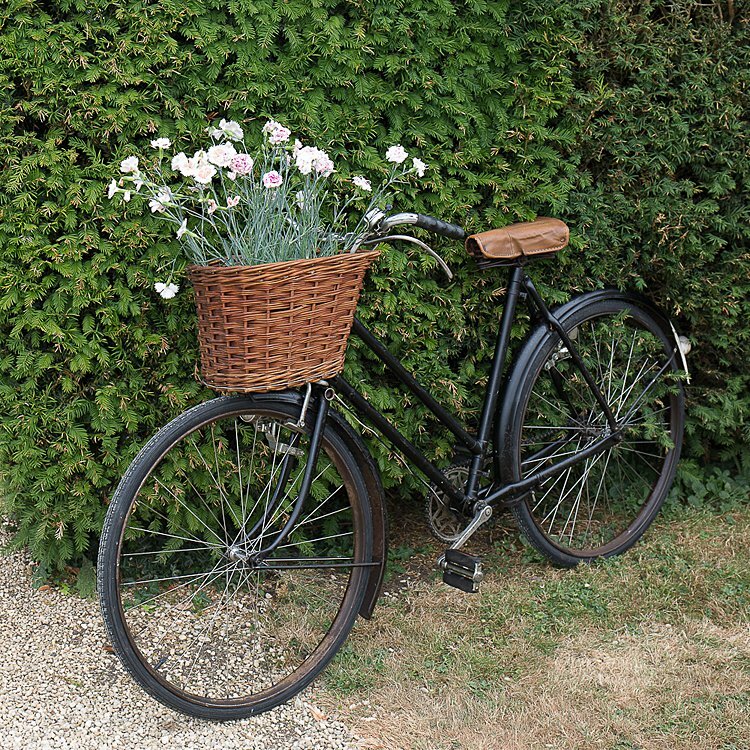 We decided to get a old-style bicycle for the photographs which our florist decorated with flowers. Jerome loved that bicycle! I had to chase after him at one point! We really wanted to put our own personal touch on the wedding so we did a lot of the decorations ourselves. 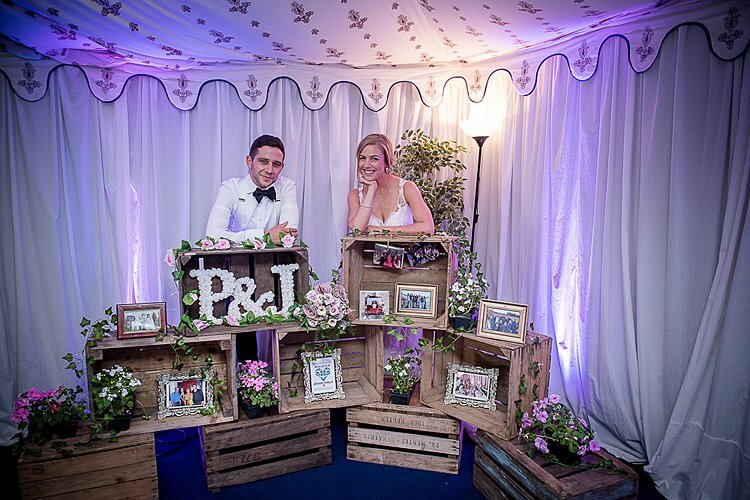 To keep with our rustic-elegance theme we hired in some old crates and an old ladder to decorate our marquee with ornate photograph frames filled with photos of our closest friends and family. And small plant pots we got from the garden centre. We also made our own table plan with ornate keys hanging from garden trellis with name tags for our guests that they had to find. We decorated the trellis with ivy and flowers to feel like a garden wilderness. For our table names we went with selected years of our lives from 1984 when we were born all the way to 2018 when we married with fun photographs of us growing up. 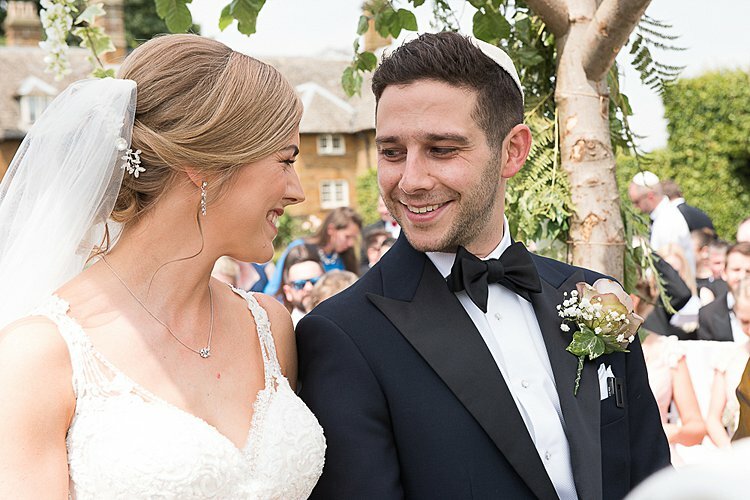 For our entrance into the marquee, I was really keen to have the traditional Jewish flower garlands for people to hold as we entered which I handmade with my mother leading up to the wedding. With the stress leading up to the wedding we didn’t want to go straight on our main honeymoon, as wanted more time to plan, so we arranged a little mini-moon. Jerome and I share a love of Italy and Roman architecture, so we arranged a trip to Venice and Verona, where we even got the opportunity to go to the opera festival at the Verona Roman arena. And to finish off the trip we went to Lake Garda, to the medieval town of Sirmione, where we stayed at a spa hotel for some relaxing days in the sun. 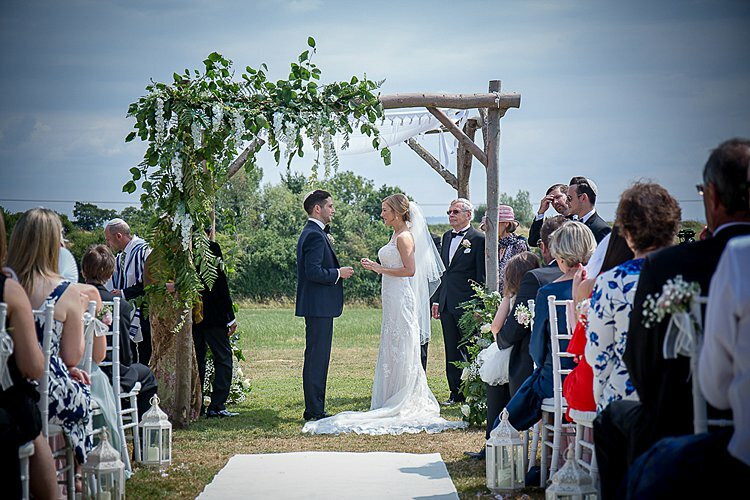 I think the best advice I can give is delegate roles to everyone in your wedding party so that you can switch off and enjoy your day. 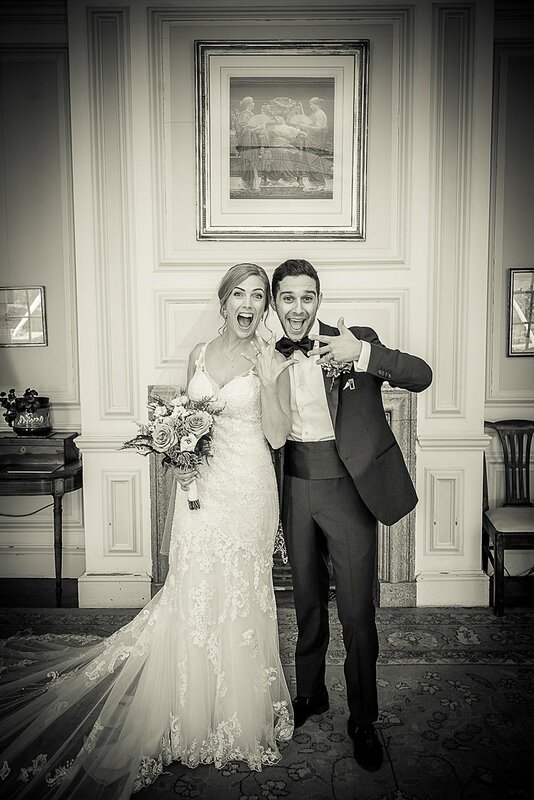 You spend so much time planning the day for your guests but at the end of the day it’s about you and your husband, and you should enjoy every minute of it! 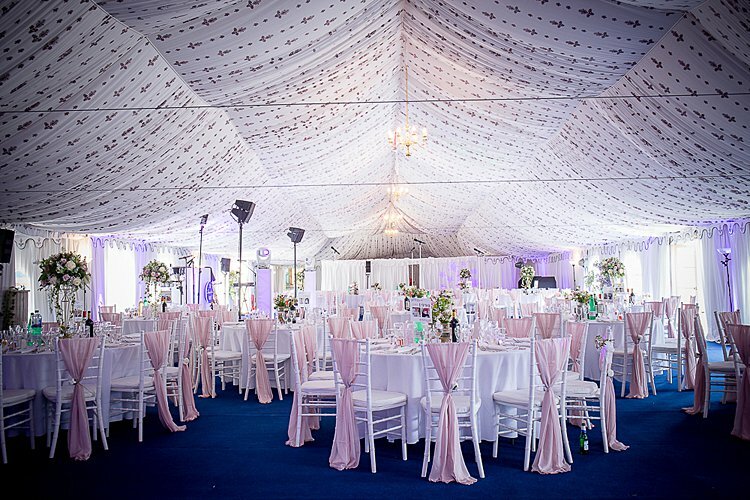 Completely lavish wedding arrangement. 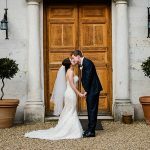 I really enjoy your wedding post & lovely wedding photography.